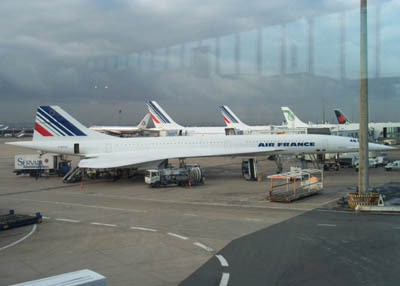 This photo was taken of the actual Concorde, at the airport, shortly before it's doomed take-off. 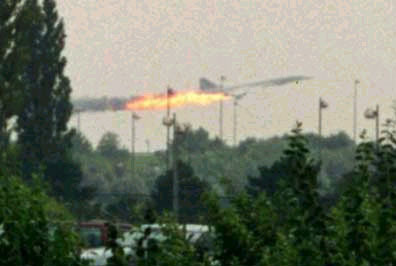 This is a still from a video, taken when the burning Concorde took off from the airport runway. Although my OBE view was from above, you can still see what I saw. 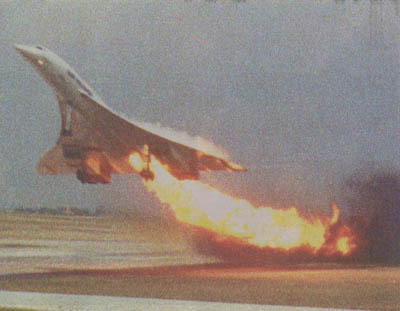 This is a still from another video as the doomed Concorde tries to gain altitude, flames trailing behind. 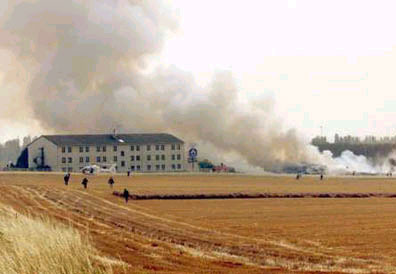 This is a still from a news video of the Concorde crash scene. Here is the field and hotel that I saw in my OBE.